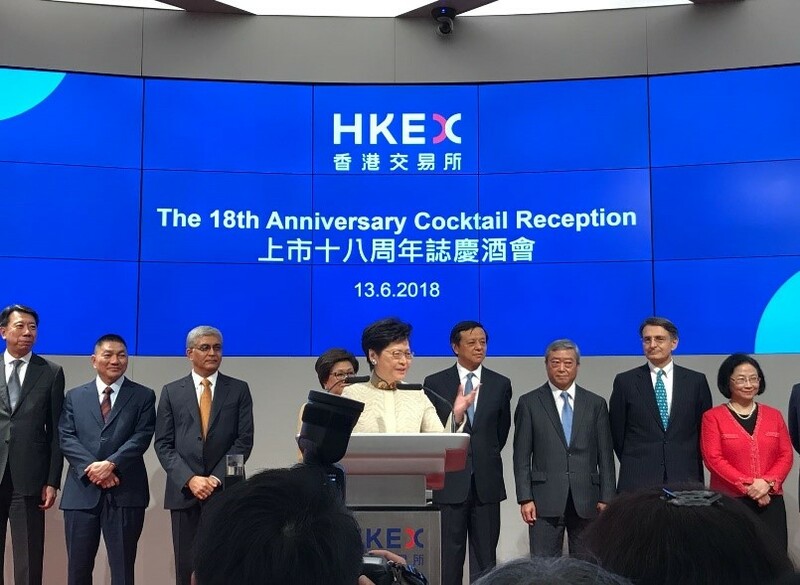 More than 1,000 guests joined HKEX earlier to celebrate the bourse operator’s 18th birthday at HKEX Connect Hall and raised a glass to mark the anniversary of the formation of HKEX. 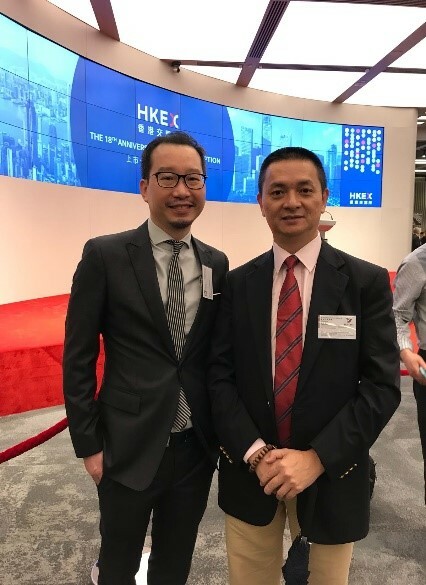 The celebration marked the first time HKEX has hosted the annual celebration on premises. Dr. Fong and other distinguished guests, including Hong Kong SAR Chief Executive, Ms. Carrie Lam, Financial Secretary Mr. Paul Chan and SFC Chairman Mr. Carlson Tong attended this cocktail reception. They all raised a glass to wish Hong Kong prosperity and stability, and the HKEX to continue to strive for excellence.